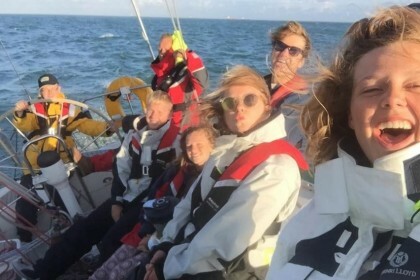 If you are aged between 14 and 24 and completing your Duke of Edinburgh's Award, have you thought of completing a sailing expedition with your team; or as an individual by joining others on one of our open sailing expeditions? At BOSS, the British Offshore Sailing School, we’re a DofE Approved Activity Provider (AAP), meaning that we can work with you to reach your goals. At the same time, whilst you’re preparing for the award, we’ll teach you a range of new sailing skills and ensure you have fun along the way. After all, the best way to learn is by having fun and to really enjoy all that sailing has to offer. We’re also a leading provider of Royal Yachting Association (RYA) courses and cruises too and our experienced and professional staff will be able to assist you on your journey to sailing and DofE success. So, if you’re interested in including saililng as part of your DofE award, what options do you have? If you'd like to put together your own expedition with a group of friends, we at BOSS can assist you by giving you the necessary skills you need to carry out your sailing expedition. With this in mind, both you and your team will be well on the way to achieving your Bronze, Silver or Gold award. As a group, we can schedule your practise and assessed expedition dates to suit you - at no extra cost! You might choose to undertake your 5 day practise expedition a few months before your assessed expedition, or you may choose to run the two 5 day blocks back to back. The choice is yours! At Gold level, we offer a number of exciting Residential sailing experiences at BOSS. Our 5 day RYA courses are perfect for the Duke of Edinburgh Gold Award and some of the popular courses include the RYA Competent Crew, RYA Day Skipper and RYA Coastal Skipper among others. Alternatively, you could join a Residential sailing cruise to; the Channel Islands, Normandy, Brittany, Holland, or Ireland. If you can’t form a DofE team at your centre, or there aren’t enough people there who want to sail for their expedition, then why not consider an Open Sailing Expedition? These will allow you to join other participants who are completing the award, forming an expedition group. These modular sailing options take care of all the training, practice expedition requirements enabling you to complete your assessed sailing expedition with other like minded people. To find out more information about our Duke of Edinburgh Awards, please click here and if you would like to discuss your options in greater detail, please contact BOSS on 02380 457733. Achieving a DofE Award is thoroughly rewarding and at BOSS, we’ll help you learn new and enjoyable skills too. 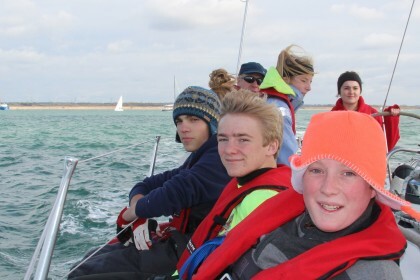 Doing your DofE Expedition and choosing to sail can be great fun! There are a host of expedition aims to chose from.